In developing Eurodisc Cosmopolitan, Grohe thought about chefs who are not so easily satisfied. These discerning individuals will recognise the attention to detail and nuances. The high-gloss chrome finish elegantly emphasises the tapered edges. You can expect the same perfection in the functionality of the mixer as in the form. 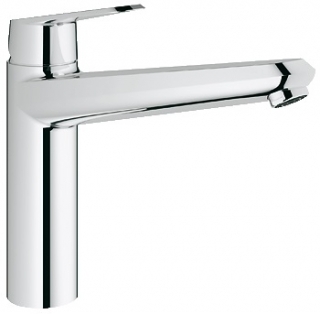 Eurodisc Cosmopolitan Sink mixer 1/2"